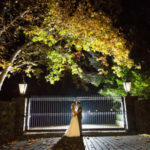 Wedding photography is one of the most important investments you’ll make, serving as a reminder of the heartfelt emotions and deep feelings you had for each other on the day, and every day thereafter. Your wedding photographs are a legacy to be cherished for generations. My style is natural and elegant, designed to showcase your relationship and who you are within in it. The result is an album of photos that show the beauty of your love in a way that feels uniquely ‘you’. Being based in the Yarra Valley, I specialise in capturing weddings in this stunning part of the world. My experience photographing Yarra Valley weddings means I’m able to take advantage of the changing scenery to create a stunning collection of photographs. I take on only a limited number of wedding clients each year to ensure you get my full attention. Simply contact me to enquire about your date and find out about my wedding packages.